Remember your heroes with the gift of this Tactical Firefighter Knife. 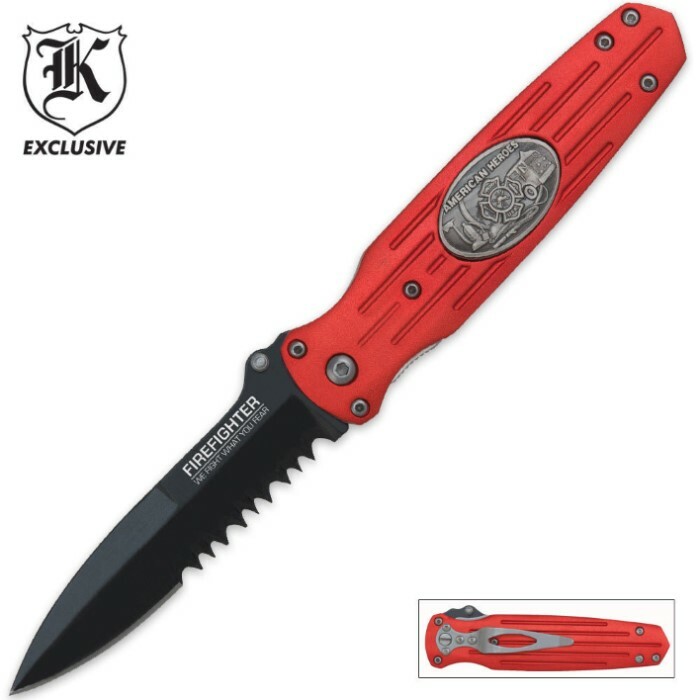 The red handle features a cast metal American Heroes medallion. The 3 5/8 in. serrated stainless steel blade is black coated, comes sharp, and the serrated edge will saw through tough targets. 8 1/8 in. overall.